CHARMING 4 BEDROOM 2 BATH HOME HAS BEEN RENOVATED, IS MOVE-IN READY AND NO CDD FEES!! 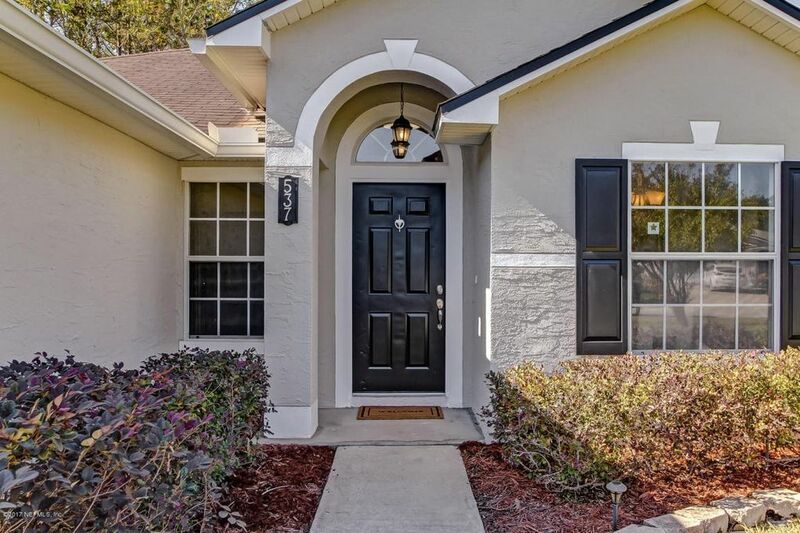 This 1,623 square foot home boasts new lighting, laminate and tile floors, fixtures, trim, and updated Baths. The exterior and interior of the home has been freshly painted. The remodeled Kitchen has new countertops, tile backsplash, stainless steel appliances and breakfast bar. The Dining Room is open to the Great Room and has vaulted ceilings and tons of natural light. The Delightful Owner's Suite has a large walk-in closet, beautiful Bath with designer tile floor, soaking tub and walk-in shower. Secondary Bedrooms all have over-sized closets. Indoor Laundry Room has upper cabinet storage. Florida Room is the perfect place to relax and enjoy time with family and friends. New roof to be installed!